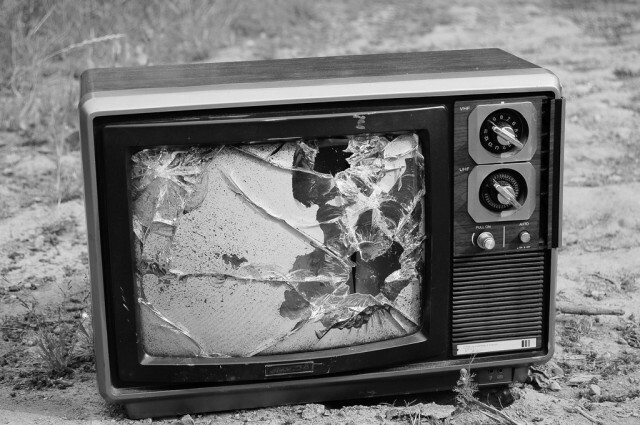 Broadcasters complain that they’re on the verge of losing everything. They claim they need 18 minutes of commercial airtime every hour in order to keep American Idol and Dancing with the Stars on the air. On the other hand, DISH Network says that with Auto Hop, people can be completely free from commercials. Who’s right? Both sides, actually. Television is an incredibly expensive business. It takes billions of dollars to make a hit TV show. On the other hand, TV watchers, some of whom have lived 60 years with increasingly annoying and pervasive commercials, deserve a break. Younger folks who grew up with the internet aren’t comfortable with sitting through 6 minutes of straight commercial content. It’s a massive turnoff. In the first part of this article, I talked about two basic facts that the TV industry needs to embrace, now. They need to look at how people engage with the internet, and do that. They also need to stop clinging to century-old theories on how to increase revenue through advertising. I’m ready to get specific… so let’s go. Step 1: MUCH less advertising. The first thing that needs to happen is a massive reduction in the number of ads shown on broadcast TV. a half-hour program should have no more than 2 minutes of ads and no more than 2 minutes of pop-up ads (and hopefully less annoying ones.) This may seem like nonsense… if 8 minutes of ads aren’t paying the bills, how can you think that 2 minutes will? If the ad breaks are cut to 30 seconds or less, people won’t bother zapping. It’s not worth it. Conventional wisdom says that people need 3 minutes for a bathroom break (that’s why commercial breaks are around that length) but why is that relevant anymore? With DVR penetration hovering around 45%, half of the people can visit Uncle John whenever they want. Less inventory == higher prices. Advertisers may not like it, but charging three times as much for a 30-second ad is a good thing. Broadcasters will get the same amount of money because competition will drive prices up. At the same time, it will drive advertisers to create shorter commercials and people today have shorter attention spans. You don’t need 60 seconds to say “Buy Crest.” People can get the message in 10. Eventually, you’ll build goodwill. Content providers have it tough today. People wonder why they see commercials on channels they pay for, and all content providers have to deal with being seen as greedy and ungrateful. Take this step and you’re on the long road to redemption. New programs compete more effectively. There isn’t much you can do to add 5 minutes to an episode of Everybody Loves Raymond. Channels that rely on older shows will have to step up their game. They may do this with small blocks of original programming, or they could just let start times slip so everything starts at different times (don’t laugh, other countries do this and somehow they haven’t exploded into anarchy.) New shows with 56 minutes of content every hour will automatically get a bump in popularity. Step 2: Create ENGAGING advertising. Advertisers need to use the opportunities they have to create engaging ads that tell long-form stories. They need to stop showing the same commercials over and over and over. It’s just not that expensive, or it shouldn’t be, to create 25-30 commercials instead of just one. That old chestnut about showing the same ad 10 times to create an impression is just annoying your customers. Why would you want to do that? Some of the most memorable ads have been long stories told over months. McDonalds has had success with this idea and so has Coca-Cola. It’s time for other companies to step it up. Step 3 Deal with costs. This is going to be the biggest shock. TV budgets have gotten ridiculous over the last 20 years. Salaries have gone up, special effects budgets have shot through the roof, and while the result has been more polished productions, it hasn’t necessarily been better television. Content creators need to face the facts: they’re not the only game in town. They need to start controlling costs because no one wants to give an open checkbook to the TV industry anymore. Television started with unknown actors and writers who couldn’t get a job anywhere else, and yet they managed to create classic comedies and dramas that still engage us today. At the same time, the cost of content creation has gone way, way, way down. Here at The Solid Signal Blog we use a $300 camera and $5 editing software and it outperforms million-dollar systems from 10 years ago. Why is it still so expensive to make TV shows? Of course ABC needs to use better equipment than we do, but do they still need to spend all the money they do? Probably not. Of course, with lower budgets, the networks threaten us with “more reality shows.” Since 2000, “reality” television has gone from a novelty to a sensation, and now it’s a threat. With the exception of about a dozen breakout hits in the last decade, reality TV has been uniformly awful, derivative, and unentertaining. CBS’ Les Moonves says that if you want CSI instead of I Want To Marry A Millionaire you’ll have to be willing to sit through commercials. In fact, there’s a lot of content that’s inexpensive to produce and it doesn’t have to be awful. Production companies buy lots of scripts without producing them, and there’s always content that’s passed out of copyright and just needs to be polished up for TV. Yes, I believe broadcast television can be saved. It won’t be saved by threats or by forcing people to watch commercials, and until content providers realize there are other options, the court battles will continue. Oh, that’s one more way to save money: stop needless lawsuits. Your ball, ladies and gentlemen of the broadcast industry. NEW VIDEO: Which amplifier is best for you?